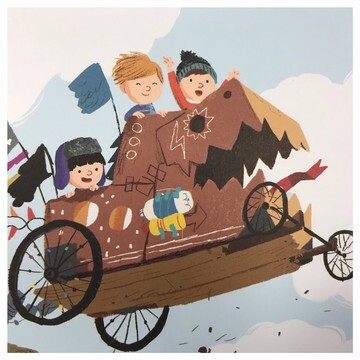 "The monster has big wheels"
Can you and your child think of any more descriptions? We have been learning to subtract using Numicon. We have even been practising reading and recording our own number sentences. 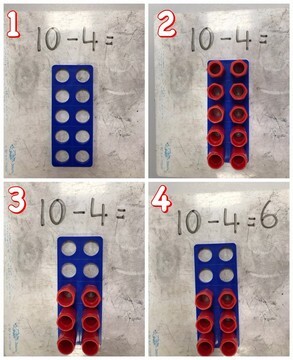 Here is how we solve subtraction number sentences using Numicon. 1) Find the first number, in the number sentence as a tile. 2) Fill it up with Numicon pegs. 3) Take away the second, smaller number. 4) Count the total of pegs left and record this in your number sentence. This week we started to read the book "On Sudden Hill" by Linda Sarah and Benji Davies. This is a book about two friends who enjoy going on adventures and always remember to take their cardboard boxes with them! We have been thinking about the types of adventures we could go on with a cardboard box, and what else it could be. The children have had some great ideas, some of which were that the box was a house, a boat, a swimming pool, a dragon and even a dress! 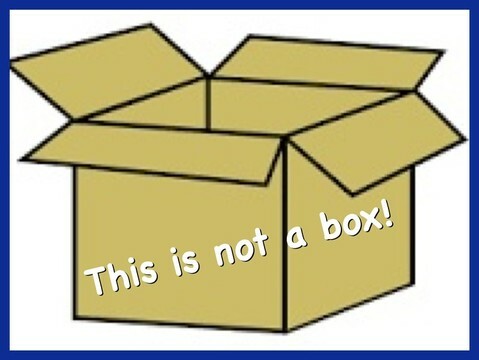 Do you have any 'not-a- boxes' in your house? What adventures could you go on with your child? 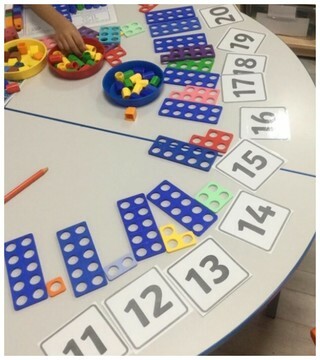 We have been making patterns in Early Years. 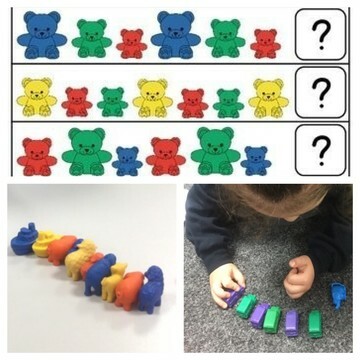 We have had a go at using different objects to do this, such as Numicon, compare bears, numbers and even children! The children have worked really hard and were using 2, 3 and even 4 colours. We have been learning all about teen numbers in Maths. We have been ordering teen numbers, reading them as numerals and matching numerals to Numicon. The children have been amazing and have really impressed us with their knowledge. We had a mystery visitor to our classrooms overnight. It was a monster! He has been in our classrooms and inspired lots of amazing work. The children have been creating their own fantastic monsters, imagining what they would like to eat and where they might live. 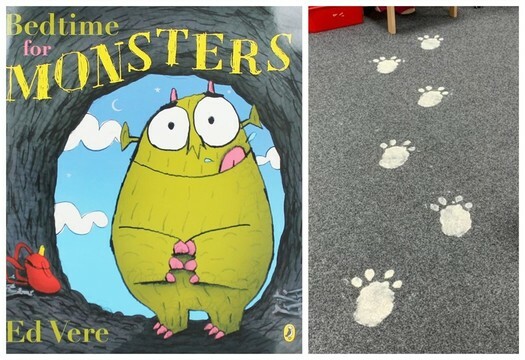 Can your child tell you about their monster? 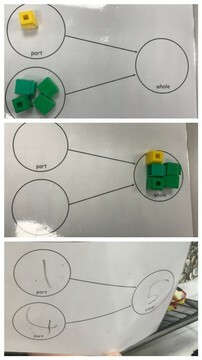 In Maths we have been learning to add two numbers using the "Part, part, whole" method. As you can see, we started using cubes and some of us even had a go at writing the numbers. Can your child show you how we added two numbers using lego bricks? 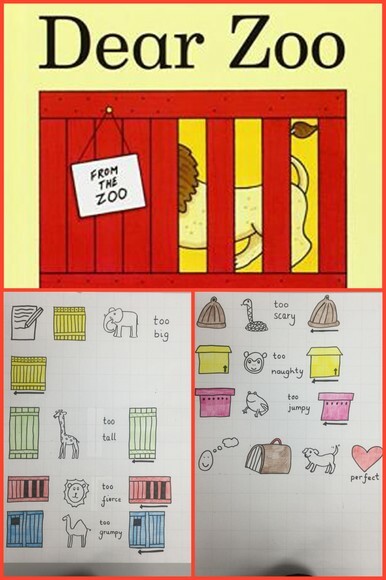 We have been learning about the story Dear Zoo. We have used a text map to help us retell the story. We then began to make our own stories by changing some of the characters. Can your child use the text map to tell you the story?